Built with passion. 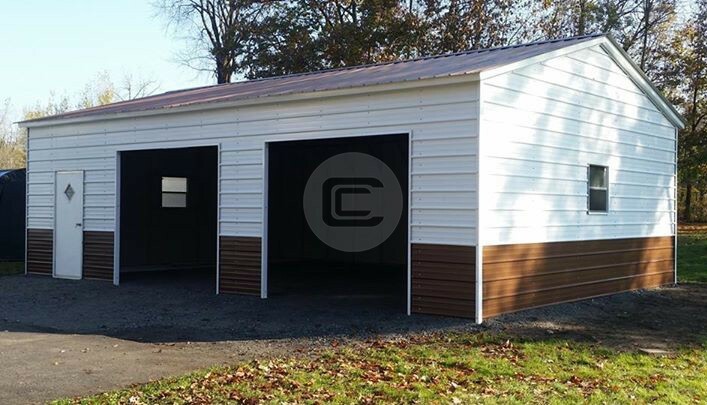 A prefabricated 40×40 garage building designed and customized to provide flexibility for use with clear span storage space of 1600 sq ft. This 40×41 Prefab Garage Building is massively strong to be used for any commercial, industrial or warehousing purposes. 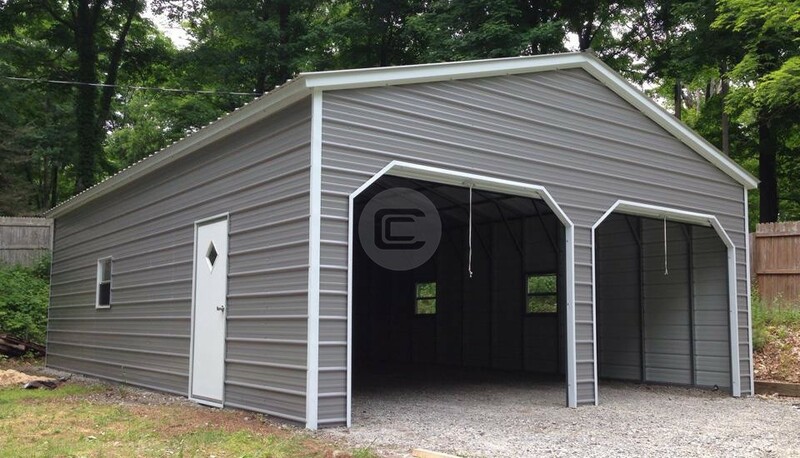 Measuring 40′ wide by 41′ long (frame is one foot shorter than actual length), Store any of your supplies, equipment, and other property safely under this certified prefab garage. This 40×40 prefab garage is certified to withstand against heavy wind and snow load. 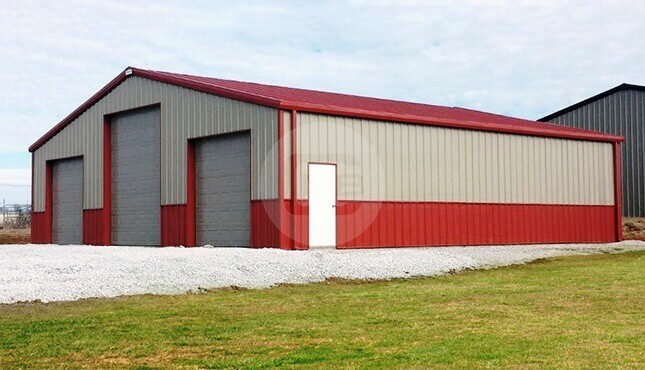 Featured 40x40x12 Prefab commercial garage is all vertical which mean the roof, sides, and walls – all are vertical. There are two 10×10’ roll-up doors one 10×14’ and one walk-in door.